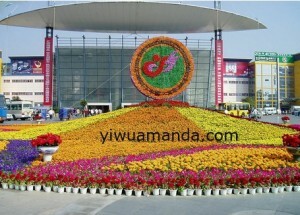 Yiwu international trade center is the main part of the yiwu market. It also has the official name is the yiwu international trade city the biggest market. You will like the Yiwu international trade center once you visit it, for it is the ocean of commodities. Yiwu international trade center has an area of more than 400 million square meters and inside there are more than 62,000 shops. Over 21 million people work for it and the daily population go through the market is 20 million. You will see how busy it is. The products are in different catalogues and the products such as toys, jewels and hardware tools and socks are taking the great percent of the total business. You can find what you want and under the help of the yiwu agent you can see how convenient and efficient of the one-stop solution service is. Welcome to the Yiwu international trade center, and find new chances for your business!